La Casera shuts down, Sacks 700 Employees, see why! NAN reported that the crisis began after the workers arrived at the company premises in Amuwo Odofin Industrial Estate, Mile 2, Lagos, and found the gate locked against them and a notice of disengagement pasted at the entrance. The notice, dated September 14 and addressed to all members of staff, stated that “as a result of the unwarranted breaking-in and invasion of our business premises on September 11, we cannot guarantee the well-being of our employees from hired hoodlums and their collaborators. The workers, under the aegis of the National Union of Food, Beverage and Tobacco Employees (NUFBTE), condemned the act, noting that some of them had worked for between five and 15 years. Mr Mike Olarenwaju, Head of Education Department in NUFBTE, who spoke for the workers, said that for 12 years, the company denied workers the right to be unionised. Olarenwaju said that when an in-house union was about to be inaugurated, the management of the company sacked the chairman, which made the NUFBTE officials to visit the company on Friday, September 11 to address the workers. “We were surprised today that the company locked the gate and sacked the workers. Meanwhile, the case between the workers and the company over unionisation is currently at the National Industrial Court,” he said. Olanrewaju urged the government to intervene in issues of unfair labour practices being perpetrated by foreign companies. He said that until the workers were re-absorbed, the union would continue to picket the company. Mr Idowu Adelakun, the state Chairman of the Nigeria Labour Congress (NLC), told NAN that the act of calling labour officials hoodlums was wrong and vowed that labour would not allow the company to function until the matter was resolved. 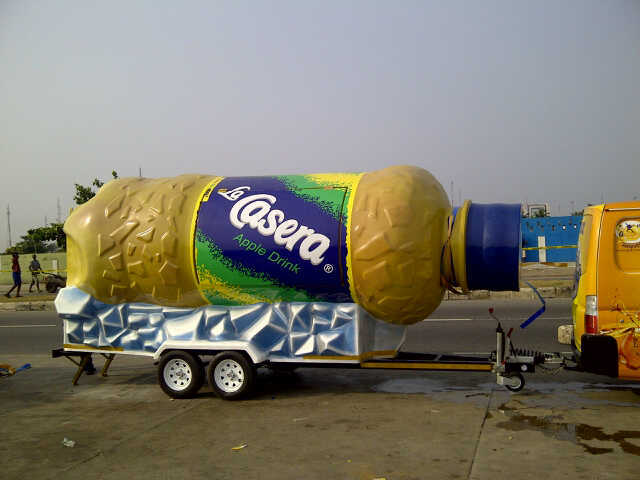 Lacasera is a beverage company owned by Indians which started operations in Nigeria in 2000.